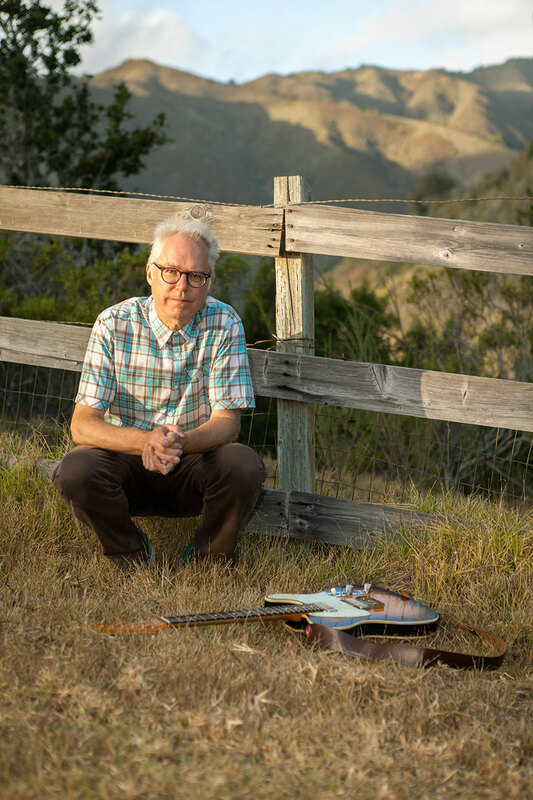 One of the most well-known and sought-after jazz musicians in the world grew up in Denver—Bill Frisell, a guitar great who graduated from Denver East High School in 1969. Frisell took up clarinet as a child and continued participating in school concerts and marching bands. But he had become interested in guitar for his personal enjoyment, playing in rock and R&B bands as a teenager. Frisell attended the University of Northern Colorado, where he studied with Johnny Smith, one of the most singular musicians of his generation; Smith had lived in Colorado Springs since 1958. “Johnny came to Greeley to teach a guitar class, and it ended up being just me and him. I wish I’d known then what I know now, thinking of all the questions I could have asked Johnny Smith. Frisell moved to Boston in 1971 to attend the Berklee School of Music. By mid-decade, he had begun fusing jazz with his other musical interests, developing a niche through his unique exploration of variations in timbre, using an array of effects. He spent 1978 in Belgium to write music and then moved to New York City. He earned a reputation as ECM Records’ in-house guitarist and as a member of John Zorn’s Naked City group, one of the most extreme noise/rock outfits of the early 1990s. He collaborated with a wide variety of artists, not all of them jazz musicians. By the end of the 1990s, his aesthetic transcended the boundaries of any given performing situation. Frisell moved to Seattle in 1989, where he continues to make his home, and garnered increasing notoriety as an impossible-to-categorize composer and bandleader, seamlessly navigating a variety of styles. In nine out of 10 years, Frisell held the No. 1 spot for guitar in the annual DownBeat Critics Poll. In a career that spans more than 100 recordings, Frisell enjoyed his highest charting album when 2014’s Guitar in the Space Age! reached #2 on the Billboard Jazz Albums chart. The recording paid joyous tribute to the guitar music of the late 1950s and early 1960s that initially inspired him. “I was in Denver when I heard that music for the first time,” Frisell recollected. “The Astronauts’ ‘Baja’—my friend across the street had one of their records. Junior Wells’ ‘Messing with the Kid’—I first heard at the Denver Folklore Center. The Beach Boys’ ‘Surfer Girl’—the first 45 I bought. I can still picture the label, what it felt like pulling the record out of the sleeve, almost smell it.